Multicasting, where a message is sent from one processor to number of other processors, can optimise the communication for data-parallel functional computing. 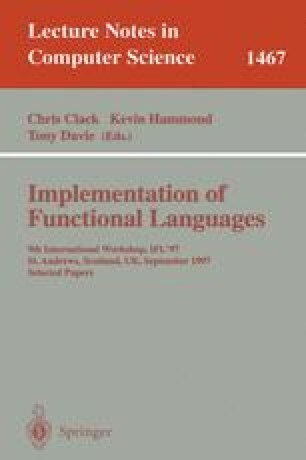 This paper introduces two multicast primitives in the functional language Concurrent Clean. A new implementation of distributed arrays using these primitives is described, which shows a speedup compared to a version without multicasting. The new implementation also pointed out that the implicit communication mechanism as it is currently implemented copies too much data in some cases.